Wooden and metal balusters offer two main functions: providing support to the handrail, and as a safety feature it creates a barrier to prevent falls. Designed for both straight and curved staircases, balusters can have a great impact on the aesthetic quality of a staircase and add a style to fit the interior design space. Are you considering a metal or wood baluster for your handrail system? Both options have endless style options and offer their own unique styles and features, and it can be difficult to determine which option is right for your home or commercial space. To help you select the right baluster for your project, we will explore some wooden and metal balusters and discuss the features of each. 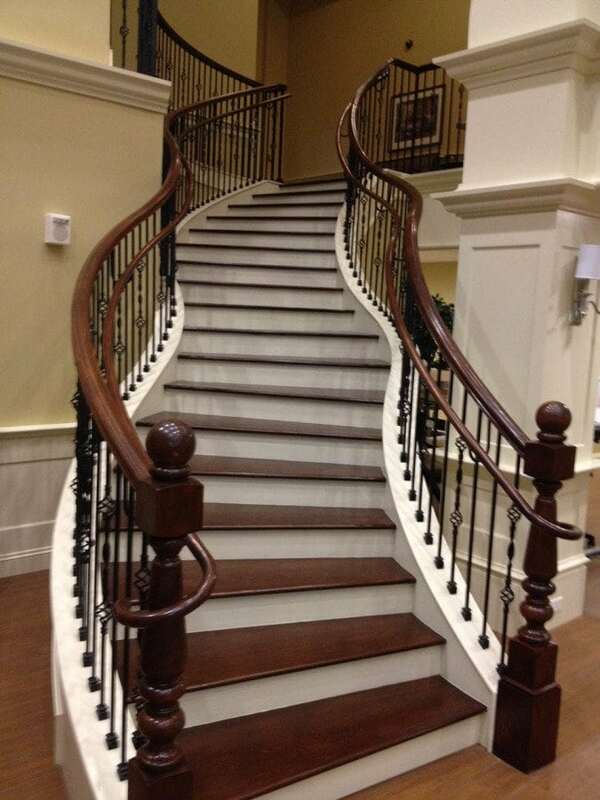 Wooden balusters have remained a highly popular choice over the years, in both commercial and residential settings. Available in all styles, from traditional to craftsman, wood balusters can be designed to fit the unique style of your interior space. Whether square with clean, solid edges, or turned for elegance, these systems are constructed with superior quality and aesthetics. This residential, craftsman style home features a 1¾” square wooden baluster with 5” base newels in paint grade wood. 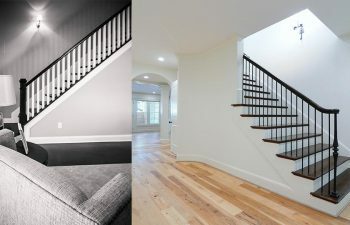 The straight staircase offers a clean transition from one level of the home to the next, and the baluster perfectly complements the overall style of the home. Another residential craftsman design, this wood baluster system offers a custom feel. 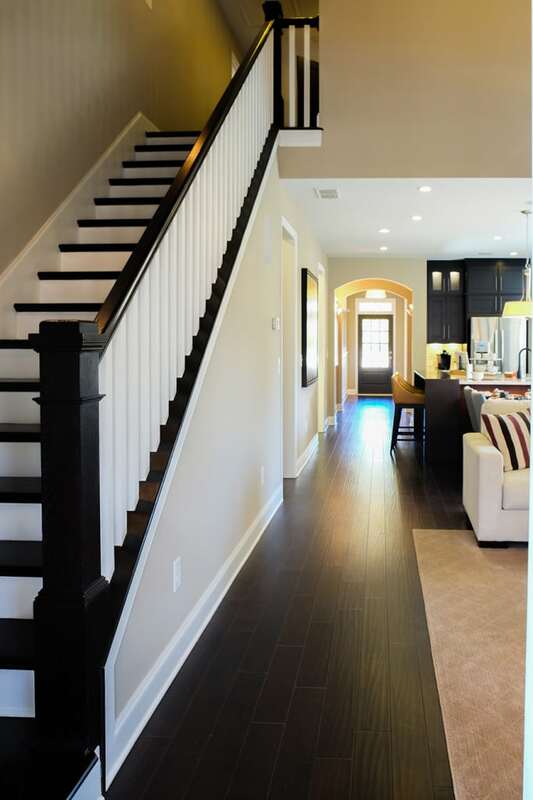 The straight stair’s creative combination of finishes demonstrates a large trend in craftsman style and design. The primed, Hyannis rake baluster panels are paired with newels featuring stained red oak cap and trim. A complementing handrail completes the system, accenting the home’s style and décor. Another beautiful wood baluster system, much different from the craftsman styles above, can be found in this commercial staircase. 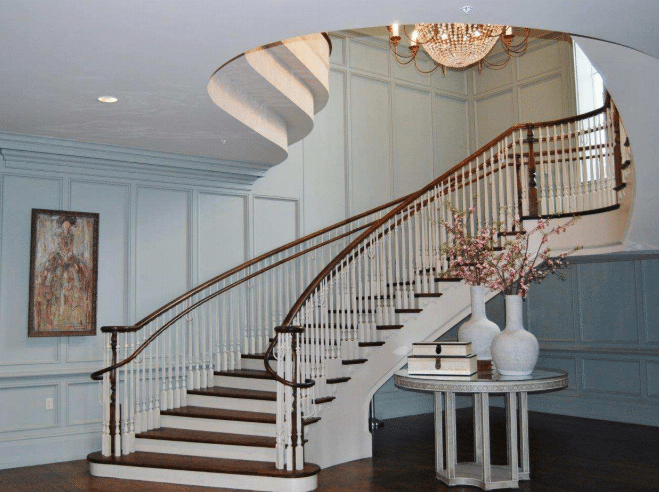 A traditional design with accents of Southern charm, this project is one of our classic curved staircases. Designed to enhance the foyer of this Southern sorority home, this beautiful staircase features a red oak wood guard and grab rail system designed for commercial use. 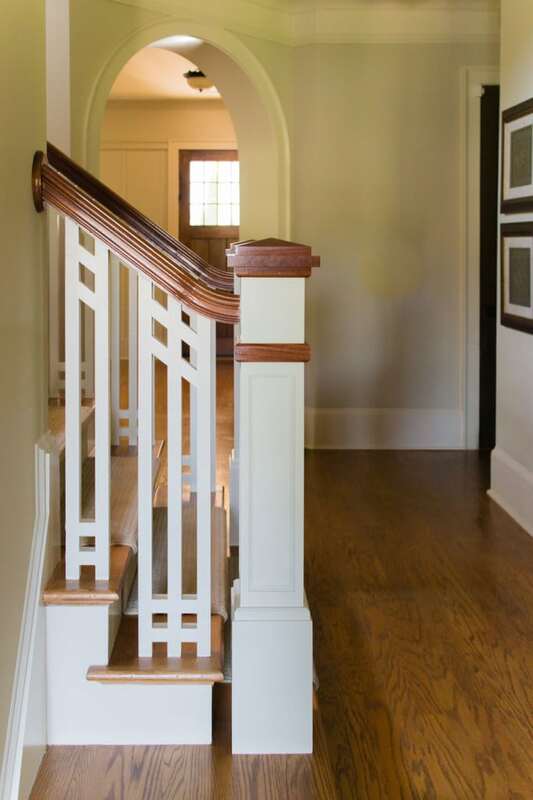 The primed, turned regency square bottom balusters accent the system and add to the elegance of the stair. For those seeking a different style, metal balusters are also available in both residential and commercial handrail designs. From traditional to Tuscan, popular projects to high-end luxury, these balusters offer even more versatility and options. Standard sizes range from ½” to ¾” wide, in both square and round designs. Metal balusters may be single pieces or paneled systems, and all variations are offered in both smooth and hammered finishes. This Tuscan scroll metal balustrade was designed to enhance a classically styled home. Described as the “mega baluster,” at ¾” in diameter, this configuration is a true upgrade to the traditional ½” metal designs. This scroll pattern offers a classic aesthetic and versatility, as it nicely complements straight and curved staircases alike. 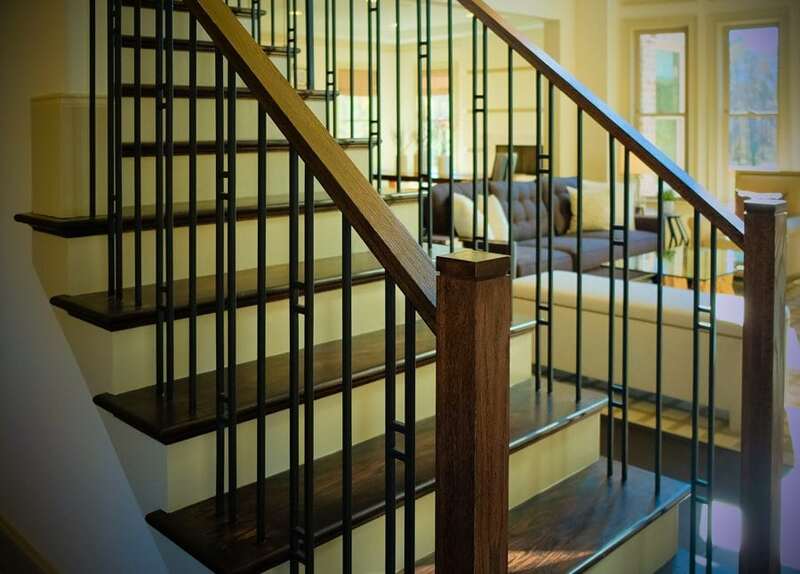 Next, this residential staircase features metal balusters with clean lines for a modern style. A square design paired with plain bars for a custom pattern, each bar measures ½” in diameter. With a simple satin black finish, this system is a perfect choice for giving an avant-garde feel to your straight staircase. The commercial metal handrail system below, accompanied by a polished wood guard and grab rail in a dark finish, provides a great complement to this unique curved staircase design. 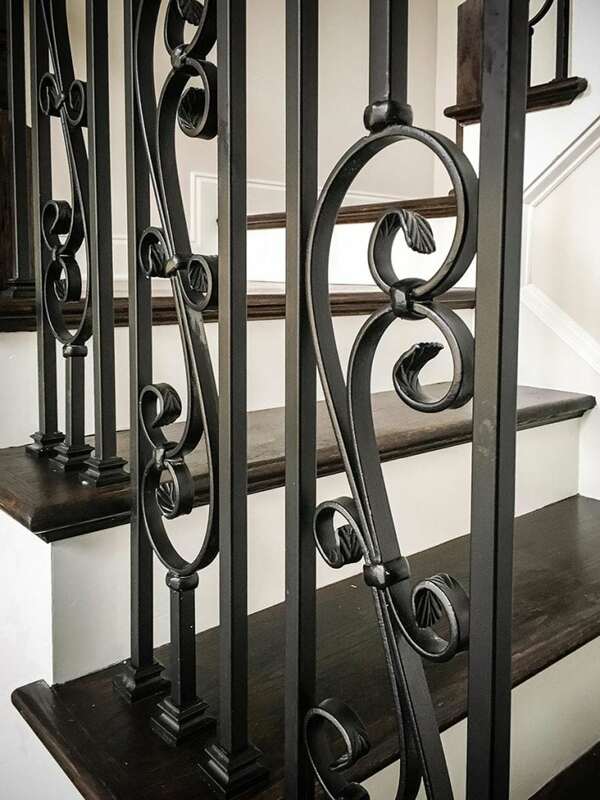 With ½” balusters in Sonoma style, the system includes single and double baskets mixed with single twists, all in a smooth, satin black finish. Our team has constructed balustrades of all styles and shapes, from coast to coast. With a team that provides seamless services from inspiration to installation, we work closely with clients to determine which balusters will be the perfect additions to their staircase projects. Visit our wooden baluster and metal baluster project gallery for additional details and pictures of our exquisite projects. From inspiration to installation our team is committed to designing and building the highest quality custom staircases. Our reputation speaks for itself and client satisfaction is our highest priority. Contact us today to discuss your next custom stairs project.